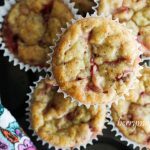 Quick, healthy and absolutely kid friendly strawberry yogurt banana muffins will surprise you with fantastic flavor! I had a couple overripe bananas, fresh strawberries from our local farm and a big cup of yogurt… perfect combo for some muffins! 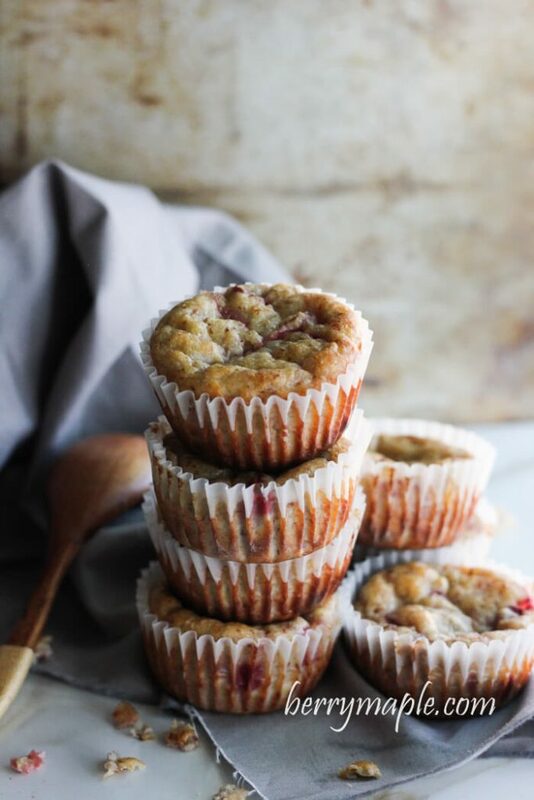 You can keep this strawberry yogurt banana muffins in a fridge in a airtight container or in a zip lock bag up to a week, and for about couple month in a freezer. Makes a great to go breakfast and snack! Especially for kids. Pack this muffins in a lunch box, healthy and delicious ! 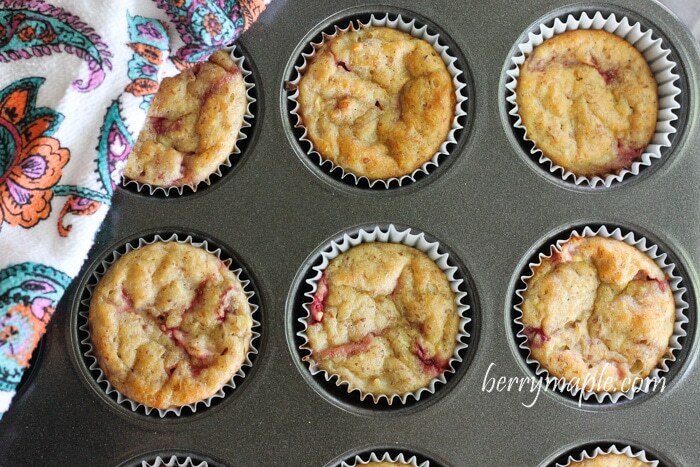 Our favorite almond meal and yogurt strawberry banana muffins! Spoon into greased or paper-lined muffin cups. © 2018 BerryMaple. All rights reserved. All images & content are copyright protected. My kids would love these! Thanks for sharing!